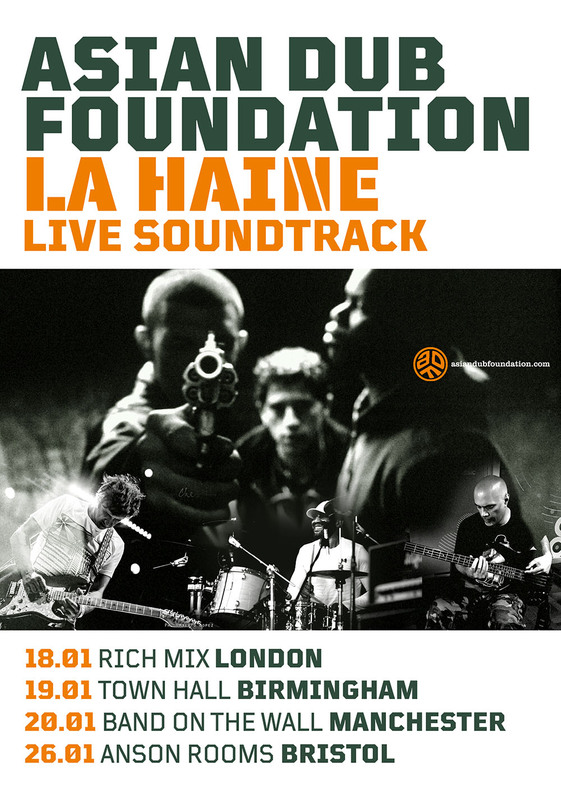 We are happy to announce that Asian Dub Foundation is bringing its innovative live rescore of the cult film La Haine back to the UK for a short tour. First performed at the Barbican in early 2001, rapturous reviews the band’s musical interpretation of the unadulterated film was one of the very first of what is now a common medium. The project has taken the band and film to Australia, to the post-London riots Broadwater Farm Estate (with Secret Cinema) and was part of David Bowie’s Meltdown Festival at the South Bank. The fact that this project has been in constant demand since its original creation is a testament to the continuing relevance of Mathieu Kassovitz’s stunning vision and ADF’s tireless development of the live soundtrack medium. See you in January 2018 in London, Birmingham, Manchester and Bristol! More UK shows to follow in the second part of the year.